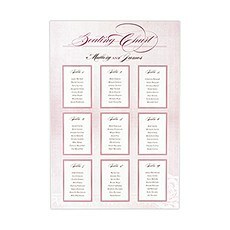 Personalized, professional looking seating charts to inform your guests in style. If you choose to show your wedding guests to their seats by using a seating chart, you'll also need a beautiful stand to display it on. 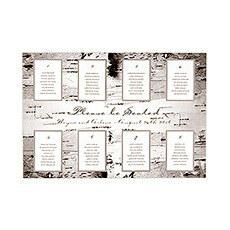 Weddingstar carries a wide selection of wedding table planners, stands and large easels for wedding seating charts. 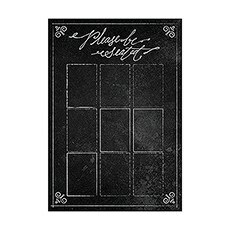 These helpful display objects can be difficult to find, which is why we offer a variety of them in different styles to make showing your guests to their tables easy and efficient.Start with the seating chart: When it comes to choosing yours, simply choose one that suits the rest of your wedding style! 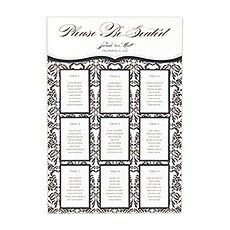 Weddingstar carries vintage lace seating charts with elegant calligraphy and a space for every guest, or if you prefer something a bit more modern, you'll also find personalized seating charts with simple black and white designs. We even carry themed wedding seating charts with travel themes, chalkboard prints and forest-inspired birch bark for the rustic wedding.As for the table planner stand, Weddingstar carries simple, white easels that can easily accommodate your large seating chart. 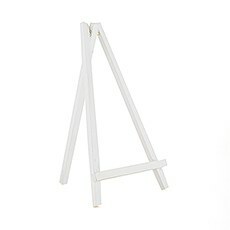 These stands are made of sturdy, whitewashed pine wood and feature the classic easel style. 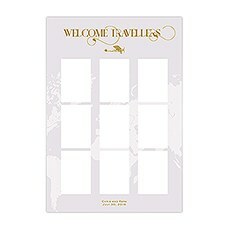 The simple design helps them to easily accommodate your table planner or seating chart without distracting from its message. 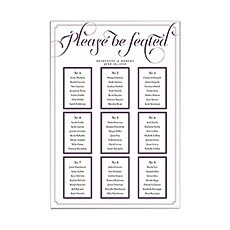 Aside from displaying seating charts, Weddingstar's easels for seating charts can also be used to display other signs throughout your wedding, such as places to place gifts, labels for the dessert table or signs with a wedding hashtag.Shop Weddingstar's entire selection of seating charts and large easels for wedding seating charts to find styles that coordinate with the rest of your wedding's theme. If you spend $99 or more, you'll even receive free shipping on these larger items.